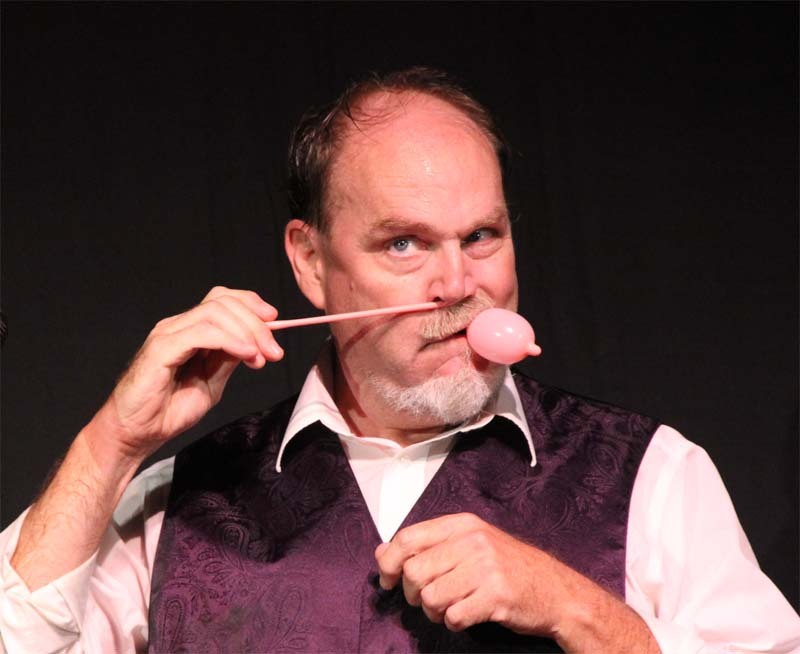 Up to 70 minutes of hilarious and original comedy magic, punctuated by variety and family-friendly sideshow acts, all presented with over forty years of experience. Banquets, parties, corporate events, picnics, barnraisings, coronations and space shuttle launchings a specialty. "Great for Kids, Even BETTER for Adults!" Self-contained with lights and sound. Any age, any venue, any occasion, anywhere. Doc's show is made of "modular" acts, and any quantity of which can be presented at any performance. "One Act to an Entire Show". 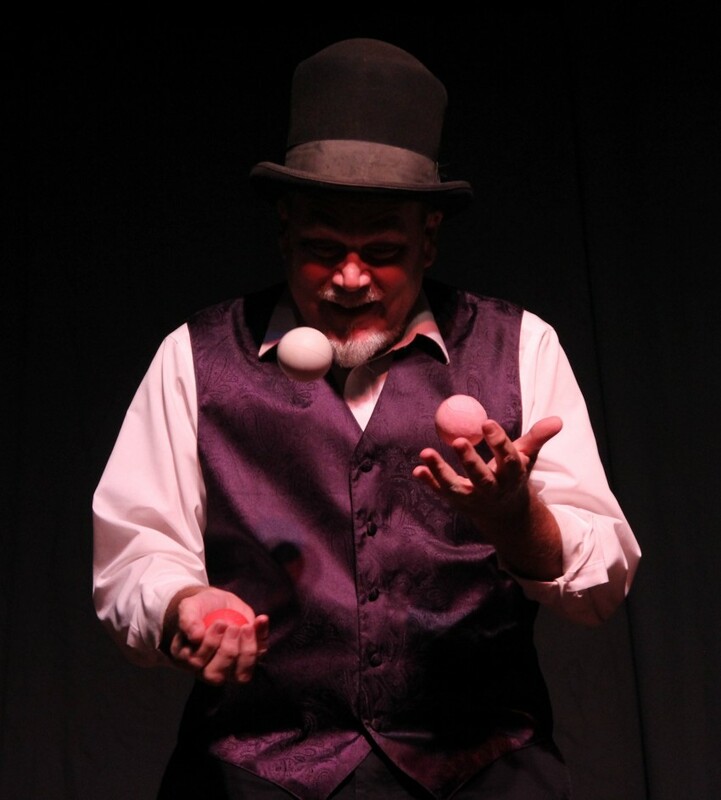 Typical shows include juggling, fire-eating, magic, escapes, mentalism, carrying an audience member barefooted across broken bottles, and a TON of laughs. Doc supplies his own sound and lights if desired. Give him an audience, and a place to show off, then watch out! Years ago, Doc Swan once heard that the average person laughs eight times a day. To that he promptly replied, "I guess my audiences are above average". Fact, fiction and fabrication is what you will see when you witness the wackiness of "Doc Swan's Magical Comedy and Variety Acts". 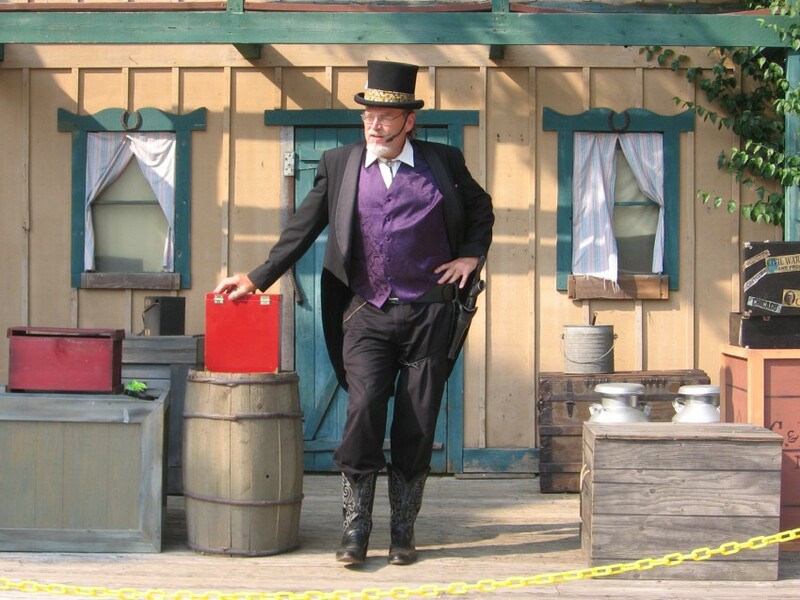 A presentation of Laugh-A-Minute magic combined with old-time sideshow stunts utilizing the most unlikely props and equipment, making for a performance sure to be enjoyed - and remembered - by all who watch. 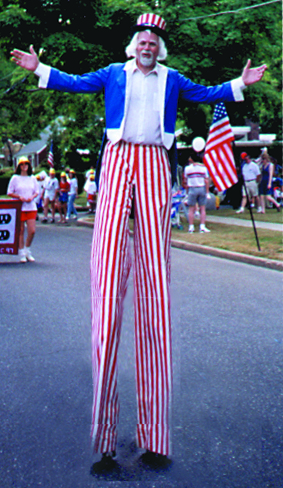 Doc has been performing for over forty years at fairs, circuses, amusement parks (Like Walt Disney World, Six Flags and Universal Studios), and even had his own show on the Boardwalk in Atlantic City for two years running. One minute you will be peeking through your fingers, the next you'll be wiping away tears of laughter. Doc is most comfortable on an elevated stage, but CAN work on the floor if you ask him nicely. He supplies and runs his own sound. He can supply lighting if necessary. If he is asked to do his fire-eating in the show, you may have to get permission for that from the venue.